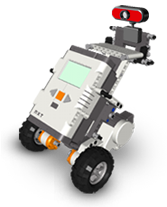 Turn your Mindstorms NXT into an Internet webcam security robot for free! No apps to install. 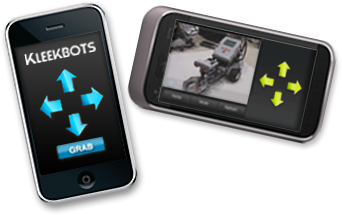 Kleekbots works on any touch-screen smartphone with a modern web browser. Supported: iPhone, Android, Windows Mobile, Blackberry, Nokia, Samsung, Sony Ercisson, tablets, iPod Touch, iPad and others. Requires Windows PC 32-bit.